WALLS | Brand Insulation Inc. Significantly increase your home comfort and energy savings in less than a day… and stay in your home during installation! 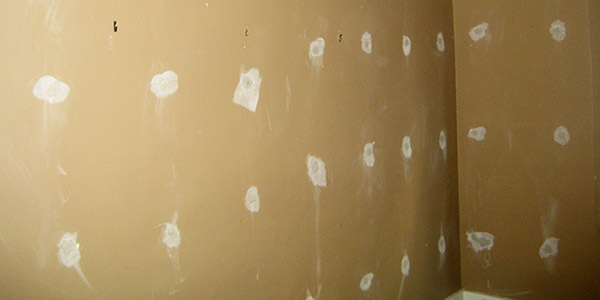 Brand Insulation uses air krete® to insulate walls. As the leading non-expanding foamed-in insulation in North America since 1984, air krete® is the perfect solution for your home insulation – and can be installed from the outside or the inside. Air krete® is a foamed-in, non-expanding cement-based product applied into wall cavities to provide a superior insulation barrier. 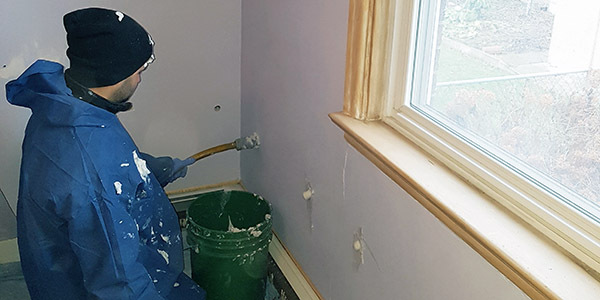 It has been used in the United States since 1984, and in Canada since 2006 when Brand Insulation became the first licensed installer of the product. Air krete® is time- and test-proven. Air krete® has a proven track record spanning decades, and thousands of satisfied customers. For air krete® tests, approvals and case studies, please visit the air krete® website. I own an older home that is very well made, but not well insulated. Did the builder forget the insulation? Not necessarily. Insulation, especially in the walls, was not a high priority for homes built before 1978 because the cost of energy was relatively low. 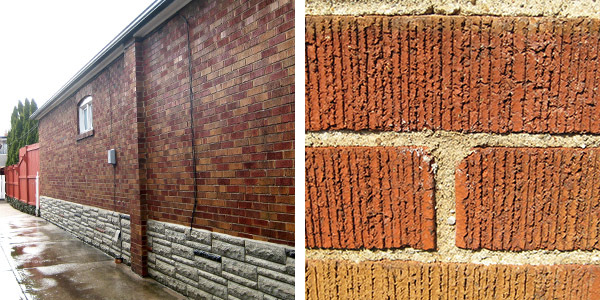 Many homes built before 1980 have double-brick walls with no insulation, or are framed and insulated with thin fiber glass batts (and quite often, without vapour barrier). Turn-of-the-century homes were built using balloon-frame construction (2″ x 4″ or 2″ x 6″ framing with empty cavities). How effective is air krete®? 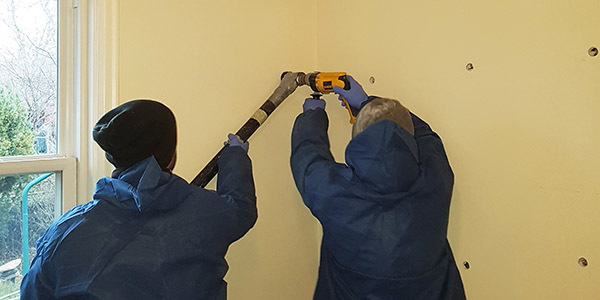 Air krete® is a highly-effective insulation solution for uninsulated walls. It fills wall cavities 100% to form a solid, air-tight barrier that eliminates convective air movement and provides a more uniform temperature throughout your home. As a result, the need for heating and air-conditioning is reduced. Depending on the construction of your home, your energy needs will reduce by 30%-50%. I've heard about expansion foam insulations. How is air krete® different? Air krete® is a foamed-in insulation. When cured, air krete® is completely inert. It will not expand, shrink or settle over time, fully retaining its insulating value. 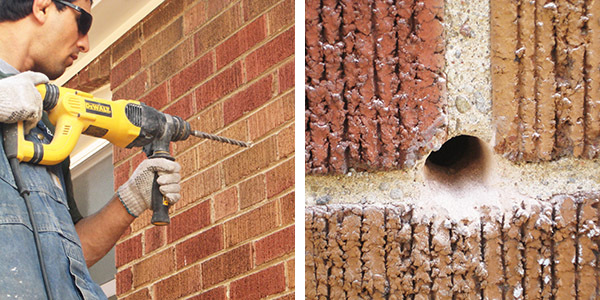 How will I know the entire wall cavity gets filled when air krete® is installed? Air krete® is designed to flow and fill around electrical wires, outlet boxes and old insulation batts. 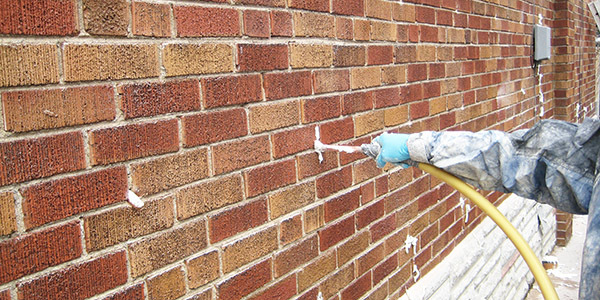 It is foamed, or pumped, into wall cavities through a series of small holes. We fill each cavity from top to bottom, and know when a section is full because it extrudes from the hole above/beside it. Watch the videos on this page to see STEP 2 of air krete® being installed from the outside and from the inside. How safe and "green" (environmentally-friendly) is air krete®? Air krete® is the world’s safest and greenest insulation. It contains no UFFI (urea formaldehyde) or formaldehyde, plastic or petroleum by-products, or hazardous materials of any kind. It is non-toxic, odour- and CFC-free, and does not outgas during installation or after completion. In fact, Air Krete® is so non-toxic that our installers don’t have to wear masks during installation. Air krete® is mould-resistant, non-corrosive, 100% fire-safe and exhibits a de-oiling effect which deters insects and rodents. Air krete® is ideal for use in home insulation where family members have extreme allergies and chemical sensitivities. How long does it take to install air krete®? Do I have to leave my home during installation? While it will depend on the size, design and construction of your home, air krete® installation typically takes less than a day with little disruption or mess. Air krete® is odour-free does not outgas during installation or after completion. You can remain in your home while the installation is being done. Compare that to other insulation processes that require the complete removal of walls and days with a work crew in your home. After air krete® is installed, when will I have to insulate my walls again? You won’t. Air krete® is a one-time insulation product. Once is enough for a lifetime of comfort. Three steps to a more comfortable home! STEP 1 Small holes are drilled from the outside, through the mortar, between the bricks. STEP 2 Air krete® insulation is carefully injected. STEP 3 The house is power washed and all holes are filled in with a mortar to match the original colour. STEP 1 Holes are drilled in the interior walls between each set of studs using our dustless process. STEP 3 The walls are rough-patched. Paint services are available upon request.